Apartments always provide a challenging space in terms of arranging furniture and equipment. While the space is often much smaller than a typical home layout, that doesn't mean you have to settle for smaller appliances and furniture pieces. The key to true apartment form and function is maximizing space when it is limited. Case in point: an apartment-friendly refrigerator that gives you some strategic space to use. Taking a different approach to food storage, the KitchenAid Double Drawer Refrigerator is small and compact while maximizing the space you have to use. Divided into two separate drawers (one fridge and one freezer), the refrigerator totals around 4.7 cubic feet of interior space. By accessing the food from the top, you can place the interior contents all the way to the edges so no space is wasted. The refrigerator also has a built-in ice maker. The LG Electronics InstaView combines a little bit of old school and new school tech to create something truly unique in refrigerator design. A see-through, door-to-door window panel lays on the right side of the main compartment so you can see right into the fridge. Using LG’s SmartThinQ technology, you can access the smart functions of the fridge via an app to control different settings and to monitor the contents inside. Check out our other reviews of the best mini fridges available on the market today. We bought a top-rated refrigerator and our reviewers tested it for 12 hours. We asked our testers to consider the most important features when using this refrigerator, from its size and style to its price. We’ve outlined the key points here so that you, too, know what to look for when shopping. Style Refrigerators come in many styles. There are two-door top freezer models, which are more traditional, or bottom freezer options, which put more commonly used refrigerated items within easy reach; a popular variation of the latter style is the French door refrigerator, but you’ll need enough space to open the wide doors. There are also four-door and showcase refrigerators, which let you take a peek inside without opening them. Dispensers Ice and water dispensers provide convenience, but where they’re located and how they operate can vary by model. Some dispensers are external while others are inside the door. Some refrigerators only have an in-freezer ice maker without a door dispenser at all. The choice is yours, but keep in mind that an in-door dispenser may eat up some shelf space. Size Carefully measure the space where you plan to put your refrigerator and find a model that fits. 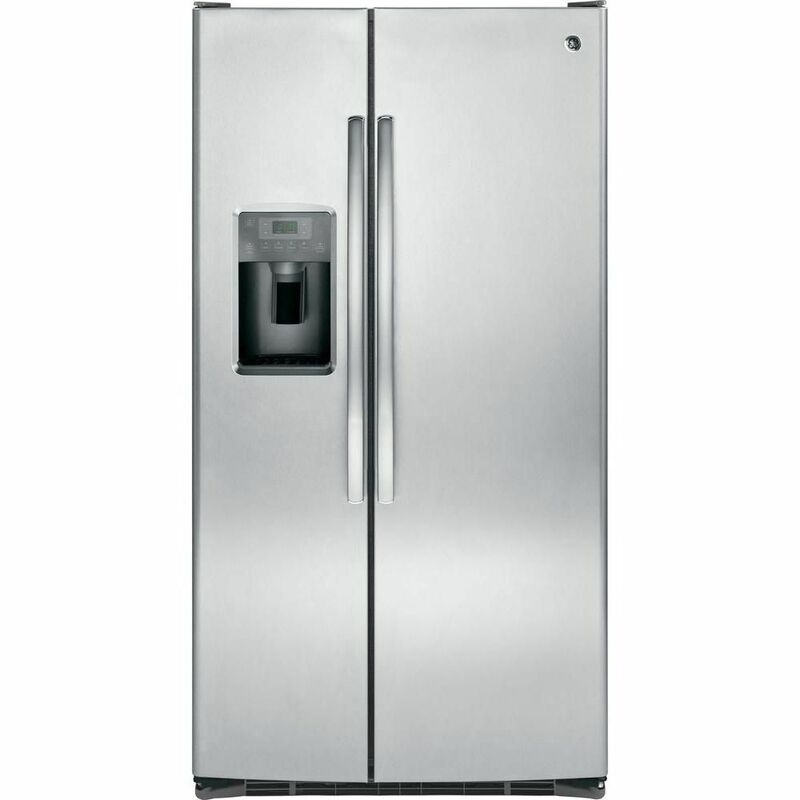 Standard refrigerators come in a range of widths, with many sized between 29 inches and 35 inches or more. Also consider whether you want a counter-depth refrigerator, which will sit about flush with the edge of your kitchen cabinets for a more custom look and open feel. 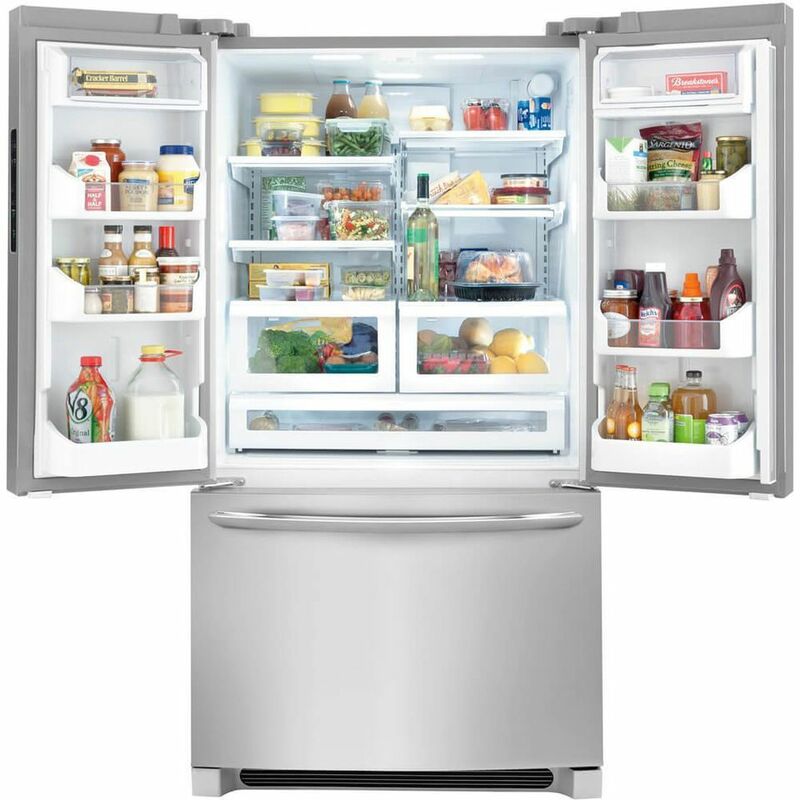 “This is an attractive fridge with some great features,” raved one of our testers. “The humidity control, in-door water, and attractive design make it worth the purchase.” Its “extensive” door storage was also a plus, according to one reviewer: “It fits all our sauces and condiments really well,” she said, “and we have a ton!” Our testers, did, however, have a few qualms about the ice dispenser: “Filling up a glass of ice takes a while, especially if you opt for crushed ice,” she said. “The ice machine is also pretty loud — every once in a while, you can hear a slight crashing sound coming from the fridge.” Lastly, one tester thought that the appliance’s freezer side seemed shallow: “The fridge size is super spacious and can hold a ton of groceries, but the freezer side feels cramped,” she said.